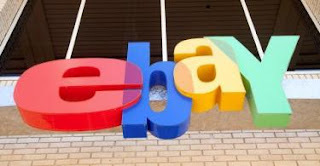 You may think you can buy anything on eBay, and if you're looking for a life-sized bigfoot statue, or an entire European village, the site can certainly cater to your needs. But believe it or not, there are some items that the web's largest auction site simply won't touch, and a few of them are real head-scratchers. We've found 10 odd items that are strictly banned from massive marketplace, and while some of them are somewhat understandable, you'll likely be surprised by some of the things you absolutely can't sell on eBay. Do you have a massive collection of nail polish that you've used once, but simply don't want anymore? What about an expensive facial kit that you sampled but just don't have the time to try again? Well don't try selling those items on eBay — the company has a policy that 100% of the cosmetics sold via its auctions have to be brand new. Ok, we can understand a restriction being placed on official law enforcement gear, but prison uniforms? Who in their right mind would attempt to usurp trained guards by waltzing into a prison from the front gate? This rule gets even more odd when it comes to Halloween costumes — "Fake" prison uniforms are just fine. How you'd ever be able to tell a fake striped jumpsuit from a "real" one is anyone guess. Prescription eyeglasses can be mighty expensive, so it seems logical that savvy online shoppers would want to save a few bucks by finding a used pair with the prescription optics they require. However, thanks to a strangely-worded policy that lumps eyeglasses in with medical devices like defibrillators and pacemakers, eBay simply won't allow them to be sold. Do you have a neat rock or cool stalagmite from a spelunking adventure that you'd like to pass on to a new owner? Well, if that chunk of rock came from a cave on protected federal land, you better not mention that in the item description. As removing items from federally protected caves is against the law in the first place, this rule makes a good bit of sense — though whether or not anyone could determine just which cave system you obtained a rock from is another question entirely. Selling things on eBay that aren't actually real is an interesting phenomenon that may be more common than you think. So common, in fact, that as of August 30, eBay is taking action to ban services that may not even be real. One casualty of this new rule is the selling of magic potions — which currently have a rather large presence on the site. Small vials of liquid being sold for the purposes of defeating "demons" or improving your luck are abundant, but not for long. Regardless of what religion — or non-religion — you favor, you've probably never considered the act of praying as something you could actually sell. Well, apparently some intrepid eBayers have monetized the act of speaking to a deity, and ask for real, actual money in order to pray for you or someone you care about. As of August 30, that will no longer be allowed. Thank God.